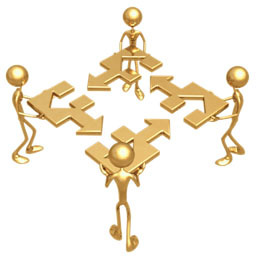 Collaboration is both a process and an outcome in which shared interests or conflicts that cannot be addressed by any single individual is addressed by key stakeholders. A key stakeholder is any party directly influenced by the actions others take to solve a complex problem. The collaborative process involves a synthesis of different perspectives to better understand complex problems. A collaborative outcome is the development of integrative solutions and decision-making that go beyond an individual vision and skill-set to a productive resolution that could not be accomplished by any single person or organization. I want to welcome you to The Coaching Symposium. I am a native Californian who has been involved in entrepreneurship, philanthropy, avocations, politics, and supporting others for over 30-years. I have an educational degrees and background in Urban and Regional Planning, Public Administration, and Environmental Management. During my professional career and life I have faced the struggles and tribulations that so many others have faced. During these times I have collaborated with some of the most successful and respected legal firms, financial institutions, and professionals to create collaborative teams that have been focused on addressing client needs in the most effective and efficient manner. True clarity around support, coaching and mentorship can only come from those who have been in the trenches and have personally experienced the situations from both the intellectual and emotional perspectives. While the professionals and technicians address the intellectual components of crisis, the hands-on experience that I bring to the table provides a strong foundation to deal with the emotional side of issues. Many times the decision-making is constrained or ineffective because our intellect is biased by the emotions in the moment. This results in ineffective, costly, time consuming and frustrating processes. More important, it can create further dysfunction and chaos for the other professionals who are using their skills to focus on addressing the issues. I have the first-hand knowledge of the consequences of dysfunctional processes and have the skill-set to bring clarity, focus and intention to attaining your goals. I trust that you will trust yourself and reach out for the support you need and deserve.